Do you know this man? His name is Ari Fuld. And yesterday, in front of a grocery store just south of Jerusalem, this Jewish man was murdered by a teenage terrorist with a knife. He was, quite literally, stabbed in the back. And, suffering from a mortal wound, Ari Fuld, who, like his name, was a lion in defense of the Jewish people, managed to fire at his murderer before succumbing to his wounds. Ari Fuld was a master defender of the Jewish people and the Land of Israel. His life intersected with thousands of other Israel lovers, Jews and non-Jews, throughout the world. It’s impossible to catalog this man’s contributions to the Jewish people’s miraculous return to the Land of Israel. But this story isn’t really about him. Not exactly. 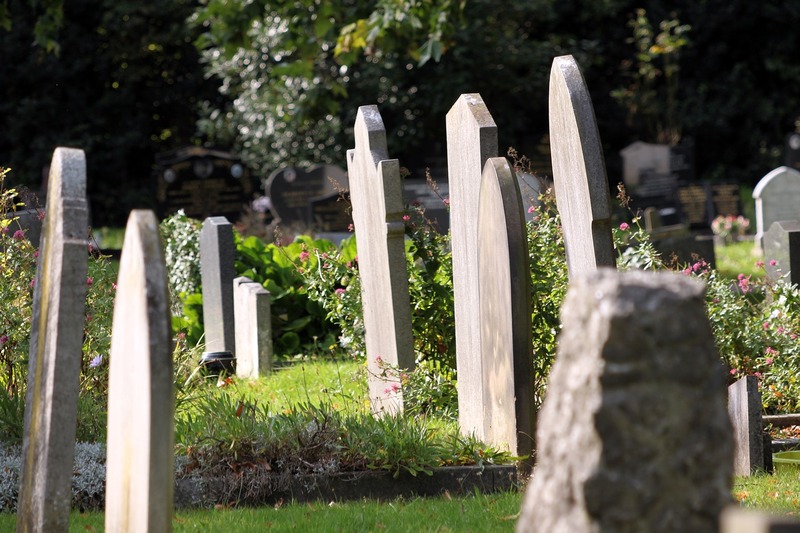 As a rabbi’s wife in America, I attended funerals with fewer than a dozen people. I attended funerals, generally of a young person who died under tragic circumstances or an older person who made a significant mark on the community, with many hundreds of people. It’s not unheard of in Israel to have much larger funerals, especially when a rabbinic leader passes away or a victim of terror is buried. Last night, I attended Ari Fuld’s funeral, which had been called for 11:30 PM. As we drove closer to the cemetery, 25 minutes before the starting time, the road was already congested with parked cars. People were walking from a mile or more away. That’s how much Ari Fuld meant to so many. It’s impossible to count the number of people who attended Ari’s funeral last night. It was certainly in the many thousands. By the time we arrived, the entire funeral building was jammed and the grounds were packed with people standing outside, extremely close together. We didn’t get any closer than the steps leading to the ground level. And still people kept coming. Ordinary people by the thousands. Soldiers of Israel. Rabbis. The US Ambassador to Israel. Jews and, I’m certain, Israel-loving non-Jews, flooded the whole area with their humanity, just to be close to other people grieving the loss of Ari Fuld. I used most of the battery power of my cellphone just to shine the flashlight on the dark stone steps, so people could walk a bit more securely. But this story isn’t about Ari’s funeral. Not really. The small group I was with found a place to park a bit less than a mile from the cemetery. And so we walked and walked, close to midnight, in an unfamiliar place, following clumps of other mourners through the quiet streets of a residential neighborhood in Gush Etzion, south of Jerusalem. On the way back, we passed the house of a tzaddik, of a righteous Jew. How do I know that it was the home of a tzaddik? Because on the sidewalk, he had set up a simple white plastic table and stocked it with cold drinks, ice, cups and cookies, so that some of the mourners, who had been walking and standing for hours, could refresh themselves on their way back home. People who needed a bathroom were also welcomed with kindness. As we came upon this chesed, provided from a Jewish heart in these days of repentance just before Yom Kippur, I heard one of the men walking near us shout out, with a paradoxical kind of spiritual pleasure, considering that we had all just come from a tragic funeral, “Ashreinu! Ma tov chelkeinu, u'ma naim goroleinu, u'ma yafo y'rushoteinu.” - How fortunate are we! How goodly is our portion! How pleasant is our destiny! How beautiful is our heritage! Yesterday was a very hard day in Israel. I’d like to think that Hashem was proud of his children, those who showed up, knowing it would be crowded, those who walked miles in mourning, to demonstrate to the Fuld family that Ari was cherished by thousands of people. And I’d like to think that God derived special nachat from the one man who helped hundreds of strangers quench their thirst and refresh themselves as they departed the funeral of another true hero of Israel. What happens at an unveiling ceremony? See answers from Orthodox, Conservative and Reform rabbis here.